We have an interesting little package today that has design fun written all over it. 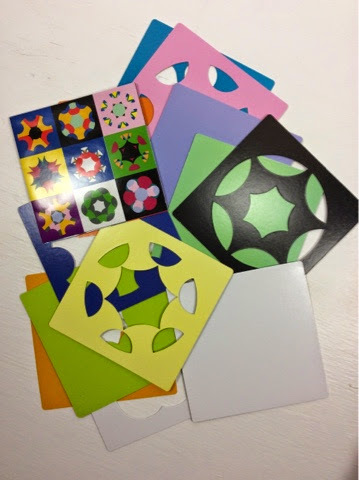 The Kaleidograph is a simple sack of colorful cards with shapes cut out but when you stack and flip the cards then slide them into the holder fun things start to happen. 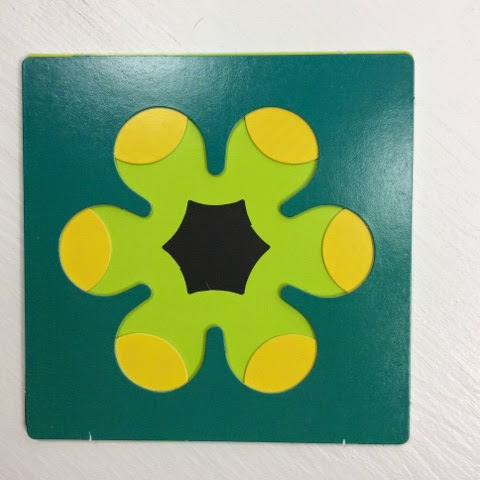 The kit comes with several solid cards and then a bunch of cut outs in different colors front and back. Here's a few little designs I played with but the possibilities are endless! Quilt block inspiration here you come! 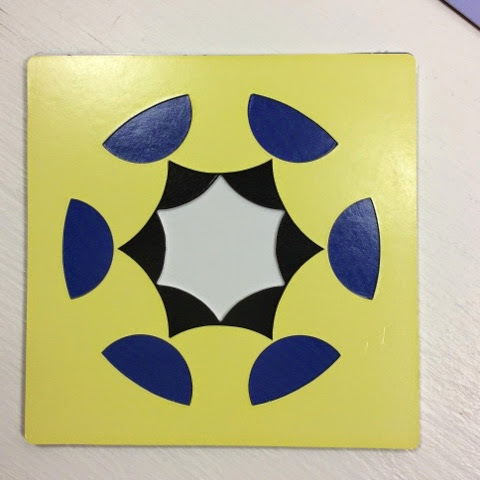 This kit is a circle and there is a hexagon kit too, visit their website to play with a virtual toy at - there is even a community to share the patterns you make. This would be great for kids too! Try one out at our next sew day and win one at the guild meeting tomorrow! Thanks to Kaleidograph Design and Red hen books and toys for sending us the giveaways! What an amazing thing this is ~ went to the website, there's lots of combinations for it ~ endless!